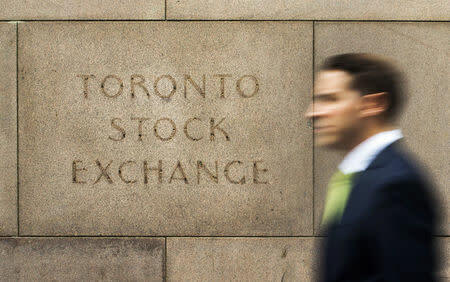 (Reuters) - * The Toronto Stock Exchange's S&P/TSX fell 47.31 points, or 0.29 percent, to 16,001.71. * Lagging shares were Dollarama Inc , down 17.2 percent, Aphria Inc, down 16.9 percent, and Canopy Growth Corp, lower by 13.6 percent. * Leading percentage gainers were ATS Automation Tooling Systems Inc , up 6.8 percent, Lucara Diamond Corp , up 6.4 percent, and Tourmaline Oil Corp , higher by 4.6 percent. * On the TSX 97 issues advanced and 136 declined as a 0.7-to-1 ratio favored decliners. There were 6 new highs and 9 new lows, with total volume of 221.6 million shares. * The TSX's energy group fell 0.52 points, or 0.28 percent, while the financials sector climbed 0.18 points, or 0.06 percent. * West Texas Intermediate crude futures fell 2.25 percent, or $1.57, to $68.79 a barrel. Brent crude fell 1.76 percent, or $1.4, to $78.34. * The TSX is off 1.3 percent for the year.